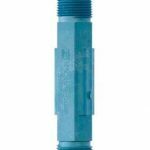 Endress + Hauser Digital ORP sensor Orbipac CPF82D for wastewater, primaries and metal. Orbipac CPF81 Memosens compact electrode in PPS housing with NPT3/4" process connection. A digital, simple solution for harsh environments.